We often see great looking design work and beautiful homes in the magazines and online, but they some times they don’t mention what furniture or accessories they used to get that amazing look. Well, we don’t to that to you guys. So we decided to shed a little light and hopefully answer any questions as to what items we used. 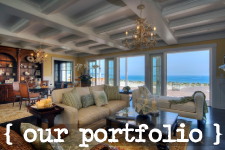 In this post we’ll share with you what we used. If we forget to mention a piece, and you really would like to know what it is, just let us know! We’ll be more than happy to tell you guys! Above: Sectional by Lee Industries made up with two twin mattresses. Woven president chair by palecek. Custom coffee table in driftwood finish. Hand painted seahorse on reclaimed wood. 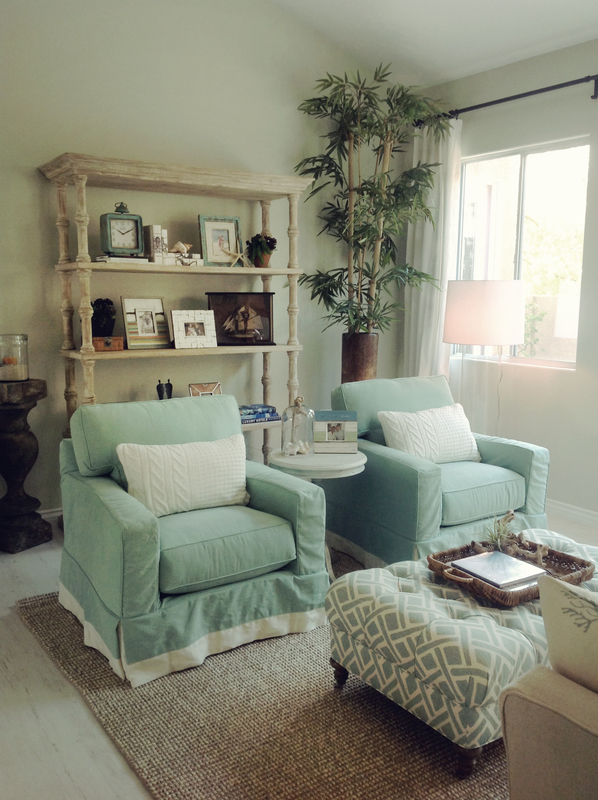 Above: Aqua slipped club chairs with cream band by Lee Industries. Com geometric tufted ottoman topped with a woven tray by Roost. Custom driftwood etagere to display our clients family photos in boat wood frames. Accent pedestal table with glass cloche with rope topper. Fishermen knit pillows from pottery barn. Above: Slipcovered dining Chairs by Lee Industries. 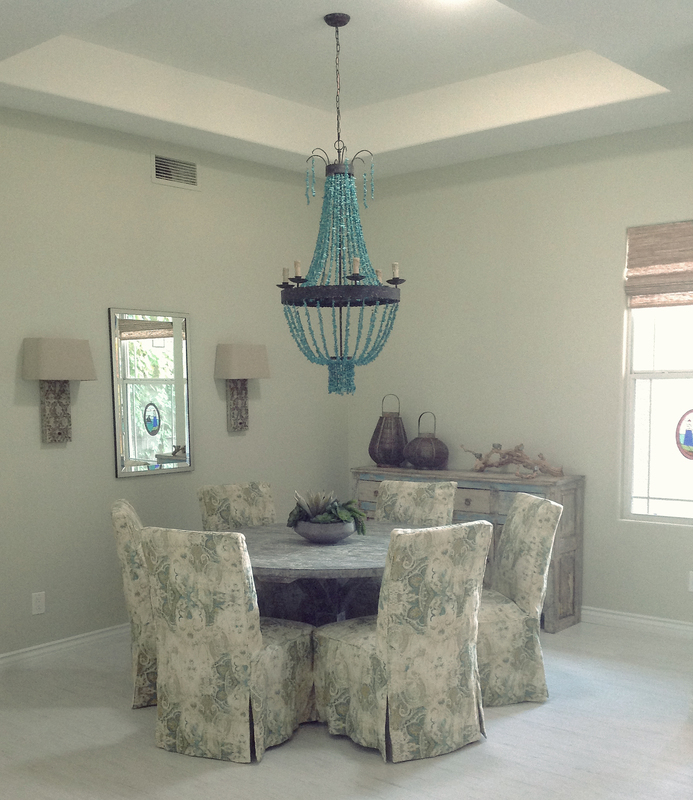 Turquoise bead chandelier with oil rubbed forged accents. 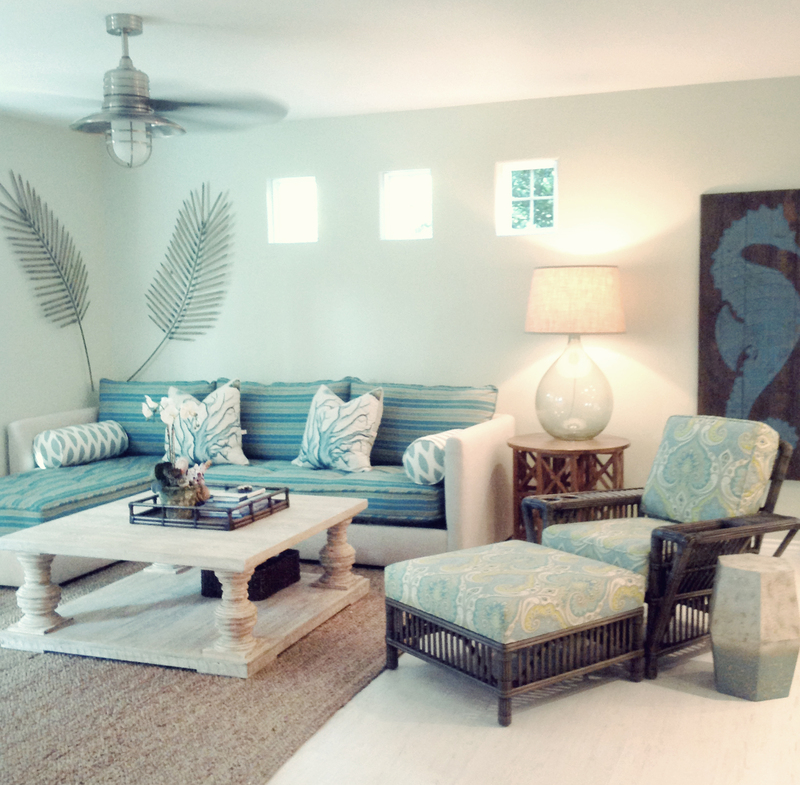 Carved sconces with burlap shades. One of a kind painted sideboard with driftwood candelabra. 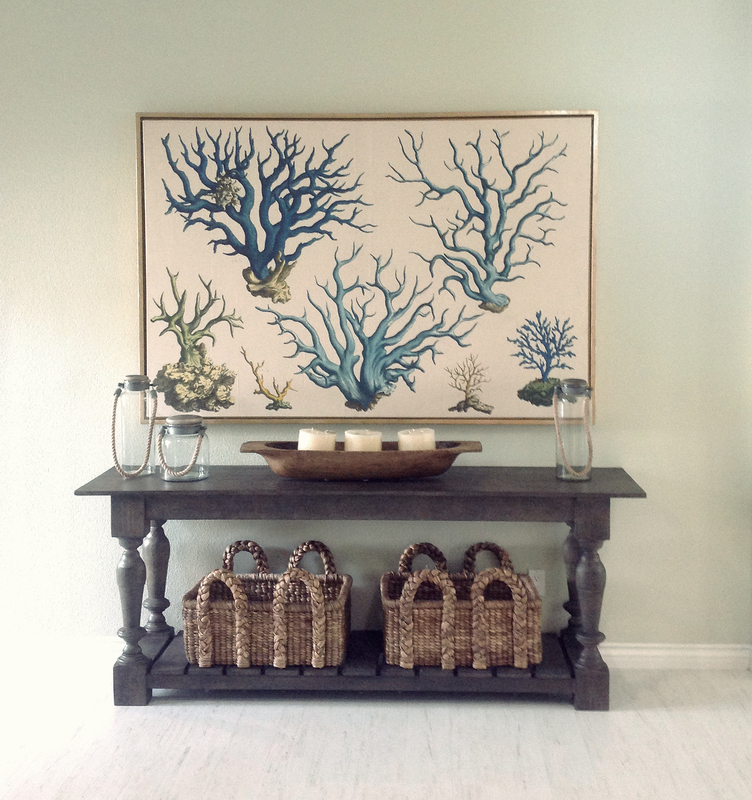 Above: Coral art in gold gilded frame topping a reclaimed entry sideboard. Asian gathering basket filled with sand to nest candles . Please let us know if you have any questions on anything we used! We love helping you guys out and keeping you informed!